Coming April 30, 2017. Get ready for a day in the park! 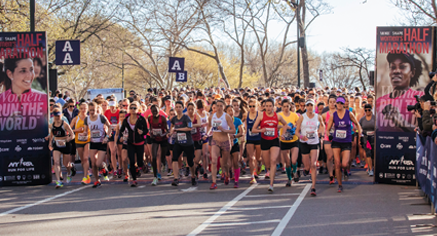 It’s the SHAPE Women’s Half-Marathon held in New York’s iconic Central Park. The most visited urban park in the United States and it’s also a National Historic Landmark, is a beautiful setting for this all-women race. You’ll loop around Central Park twice – yes, twice with all of it’s hills – but there will be plenty of support from cheering people along the route and your fellow runners. The post race celebrations include live music, free samples, raffles and fun activities. Challenge yourself and enjoy where “women run the world”!